From culture to adventures, the Santa Cruz Mountains website helps visitors connect with the travel info they need most. 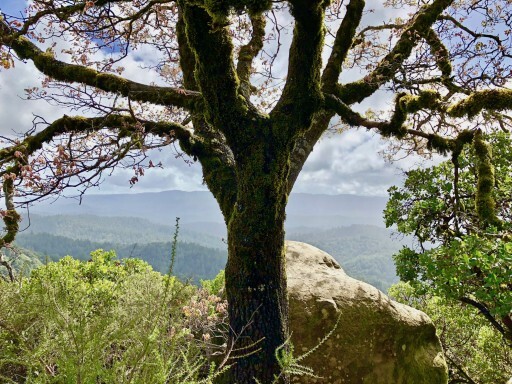 A new travel and tourism website has launched to help locals and visitors learn more about the Santa Cruz Mountains region. SantaCruzMountains.com offers insight on adventures, guides, lodging, wineries, food, and more. The website provides a breakdown of the different towns in the region. The many historic downtowns, located in the foothills to deep in the woods, offer an array of adventures and things to do and see. First recognized as an American Viticultural Area in 1981, the Santa Cruz Mountains AVA was unique in being defined by its mountain topography. Some of the vineyards are at elevations of 3000+ feet. The appellation follows the fog line along the Pacific Coast, extending down to 800 feet in the east to the San Francisco Bay, and 400 feet to the west to Monterey Bay. In addition, SantaCruzMountains.com helps connect visitors with guides to local attractions. On their guide to Goat Rock, the website highlights adventures from bouldering to rock climbing, day hiking to backpacking and visiting Big Basin Redwoods State Park, California's oldest state park. The website provides an overview of what to do and even when and where to go. Helpful tips for the trip are provided. Santa Cruz Mountains Media also has a focus on conservation and responsible outdoor recreation. They note on the website that growth in the region was accelerated by the rise of Silicon Valley. This increased housing and commercial development has raised preservation concerns about natural resources. SantaCruzMountains.com provides some good information on everything from coastal Redwoods to the unique Sandhills and Sand Chaparral communities and more. Their promotion of ecotourism helps them be part of the broader focus on ensuring that these areas are available for future generations. To take a look at the site as well as new blog posts highlighting unique areas and adventures, visit SantaCruzMountains.com. Santa Cruz Mountains Media operates a travel and tourism website at SantaCruzMountains.com that assists visitors and locals alike find adventure, places to stay, and things to do in the Santa Cruz Mountains region. The site also promotes conservation to ensure that future generations may enjoy this magnificent area.